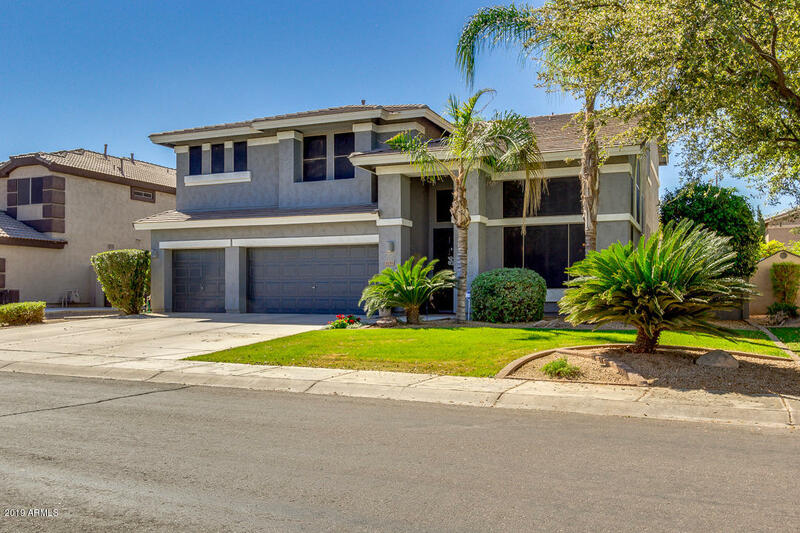 All RANCHO COLLENE AMD homes currently listed for sale in Gilbert as of 04/22/2019 are shown below. You can change the search criteria at any time by pressing the 'Change Search' button below. "A freshly painted 3,705 sq ft home is professionally landscaped w/attractive lawn & mature trees. Wood plank tile in living & dining rooms welcomes you into this entertainer's dream home. Impeccable kitchen features gorgeous 42'' staggered cherry cabinets, pull out shelves, quartz countertops, island with seating, dbl ovens (convection) & crown molding. Lower level features office w/French doors off family rm w/gas fireplace., Upper level has 3 spacious bedrooms+ an oversized master suite w/ wa"